Summary: Football season is here. Even if we don’t like it, guys are going to want to watch it. They even might call up their friends and get together. So instead of letting his friends scavenge through your fridge – prep a little something in advance! Chickpea hummus is an easy, healthy, versatile and inexpensive recipe. 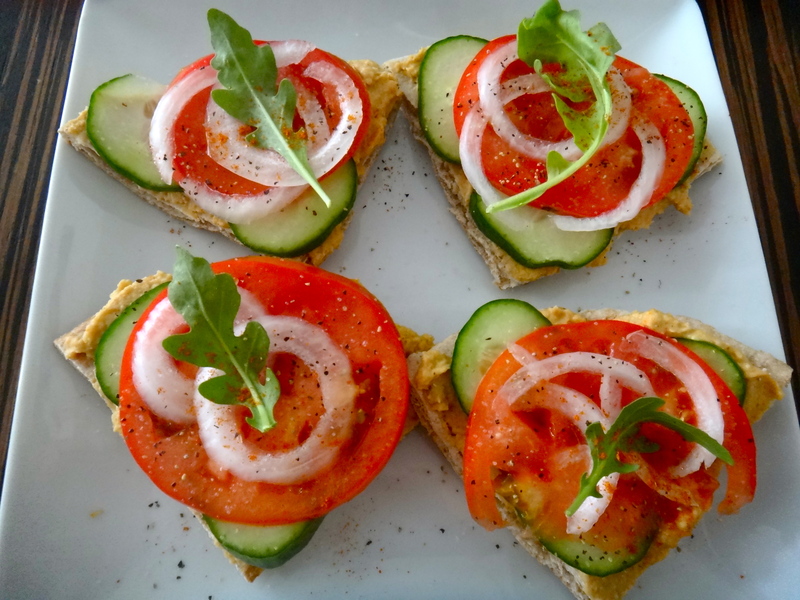 Hummus is an appetizer, a spread, a garnish, a salad dressing, it’s part of a sandwich or snack… The sky is the limit. As you will see below I’ve created multiple recipes with hummus as the base – so I promise you, it’s a great thing to keep in the fridge. The traditional hummus recipe is from my husband. He had a Lebanese roommate during College that taught him a few things about Lebanese cooking. Now for a little twist I decided to experiment with beetroot. As I’ve posted before organic beet contains detoxing properties among other nutritional benefits. 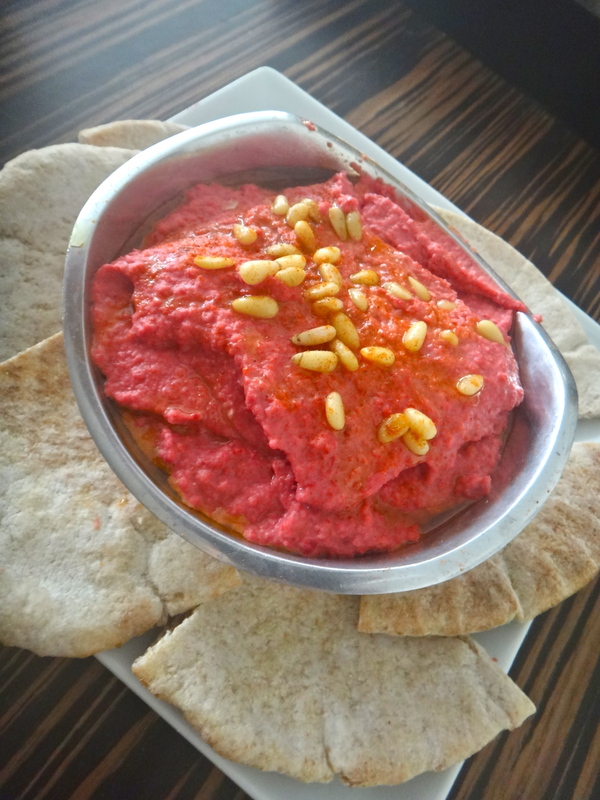 Therefore this pink hummus is a sneaky way of incorporating this amazing vegetable root into classic recipes. Plus you will be impressed by the bright pink color! The result is amazing. 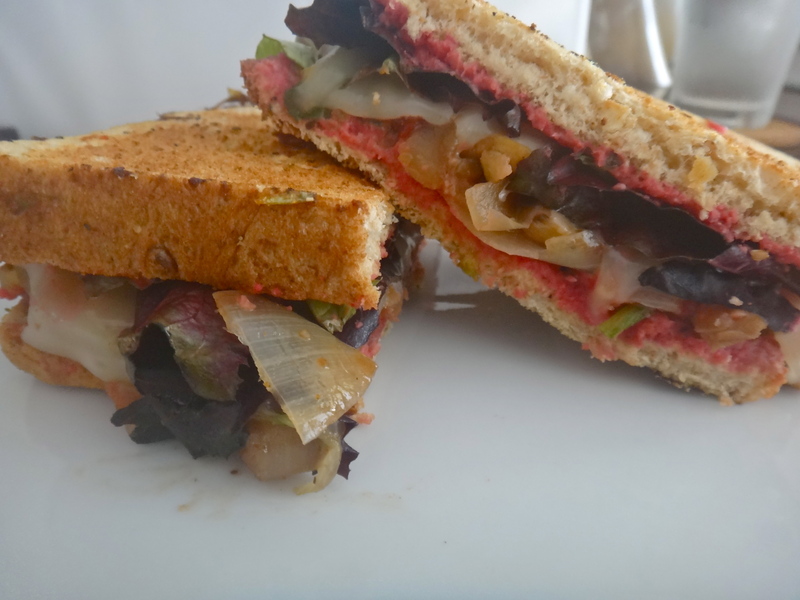 In my recipe I sauté the beet with caramelized onions, adding another dimension of flavor to the hummus. 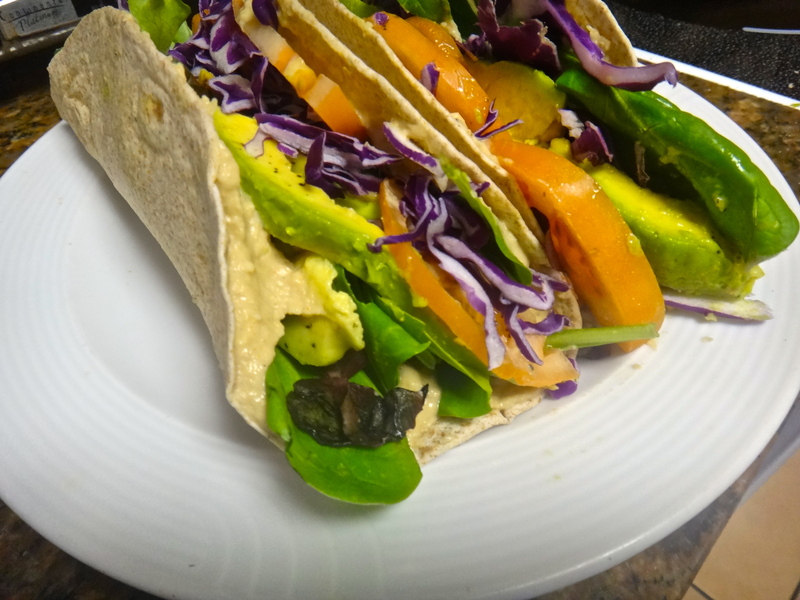 These ingredients collide beautifully in this sweet and spicy hummus version. Plus the naturally pink color gives it tons of girly possibilities. This appetizer would make the perfect addition to a bachelorette party, a girly birthday bash, a Valentine’s party, a gender reveal party…you name it! 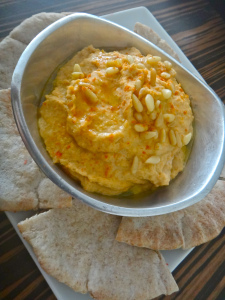 The traditional hummus is gluten free, lactose free and vegan! So ANY type of picky eater can enjoy it. Drain about 1/4 of the liquid from the chickpea can. Throw the remaining liquid and beans into a food processor. Add the remaining ingredients and grind until smooth. *This is also the base for the Beetroot Hummus, so follow this step before proceeding to the next recipe. 1. Coarsely chop the onions and the cooked beetroot. Add 1 tsp of olive oil to a non stick pan and set to medium high heat. Add the onions and beet pieces into the pan. Sprinkle the cumin and coriander on top. Add juice from 1/2 a lemon into the mixture. Mix well and let cook for 4-6min or until the onion begins to caramelize. Set aside. 2. Now add the cooked beet mixture into the food processor. Grind until smooth. Add in the chickpea hummus plus the greek yogurt and mix again. COOKING NOTE: If you want a shortcut use store bought hummus and add the cooked beet mixture into it. Adjust for seasoning. 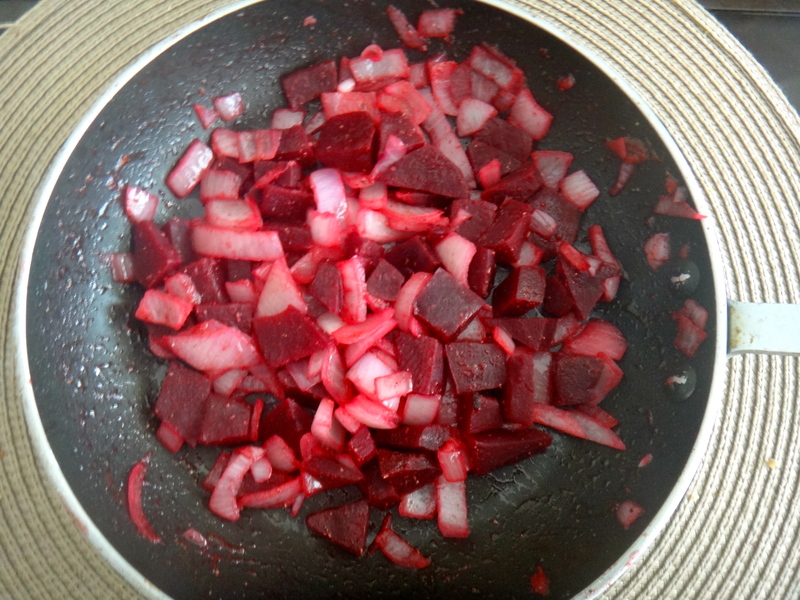 TIP – if you have trouble cooking the beet, use canned beetroot. For healthier results make sure the beet is non-GMO! GARNISH: With a drizzle of olive oil, pine nuts, and a sprinkle of paprika. You can also add olives if you’re a fan. This hummus is amazing. The beet adds the perfect sweetness to it.